The United States has a rich history, full of influential figures and defining events. It is nation born out of the idea of freedom and personal liberty. One of our nation’s finest traits, is our ability to recover from tragedies. We survived and revived after depressions and wars. America has also dealt with our own personal tragedies. We have been attacked, nature has ravaged us, and some of our greatest people have fallen. One constant remains, however, we still carry on. Americans have learned to manage the pain of loss. It is important to learn from these events and it has helped us to prepare for the future and learn from our grief. Also the individual stories of families and survivors can be very inspiring. Finally, it is wise to always remember these events. In 1861, tensions are high on the home front in the United States. The South feels under represented and their policies clash with the North. A series of southern states split from the United States to form the Confederate States. The Civil War was one of the first American tragedies that hit on our home soil after we defined our own country. Battles broke out between bordering states. Suffering was extremely high, many American soldiers were wounded and killed. The wounded also had to suffer through civil war hospitals, which were notoriously low quality with low supplies and understaffed. The Civil War was the bloodiest war that the United States has ever been involved in, since both sides of the battle included American casualties. 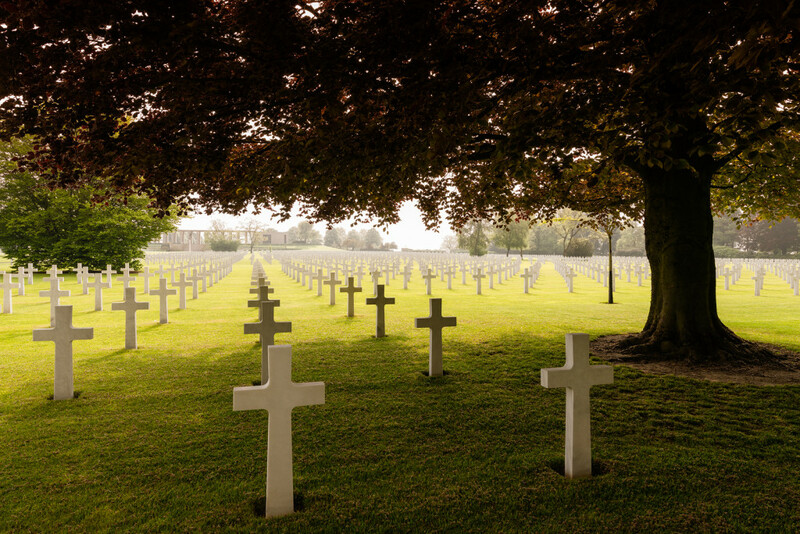 Approximately 625,000 Americans died in the battles. That is two percent of the population which would be equal to 6 million men today.. Eventually the Union managed to push the Confederacy back and reconnected the various states. It took 4 years to reconnect the two warring halves. Though the fighting ended, the tragedy had not ended. The president, Abraham Lincoln, is shot at Ford’s Theater, 5 days after the war had ended. Americans lost a president who led us through our first and only civil war. It was hard for Americans to grasp the assassination of a president, as this was the first. Lincoln’s body was carried to the White House and put on display for men and women to pay their last respects. Finally a funeral train was driven to Lincoln’s final resting place. The Battle of Gettysburg was the bloodiest battle with around 51,000 casualties. Union forces outnumbered Confederate forces almost 2 to 1. 11 states seceded from the United States within seven months. One of the largest boating tragedies in history was the sinking of the RMS Titanic. Once the news arrived, Americans were stunned. Nearly 2,000 perished on the way to America from Europe, many were seeking the legendary American dream. News spread and many mourned, it wasn’t until time had passed and the pain began to fade that memorials sprung up. The Titanic is a unique phenomenon, which we chose to remember through artistic expression. Long before the James Cameron film, paintings, writings, songs, and art were all dedicated to the ocean liner. The disaster has been romanticized and is widely remembered. However, the world was able to pull some good from the incident. Strict regulations were brought forth about the number of life boats and SOS signal was put into wider use. Americans dealt with the Titanic in a very prestigious way and recovered from the disaster. 68% of people who were on board died. The percentage of deaths greatly went up as you went down in economic class. In the late 1920’s, America experienced an extreme economic crisis. A culmination of events led to the crash of the American stock market. Unemployment ran rampant and money was in short supply. During the worst parts of The Depression, some people let their best shine. Les Orear was a young man going to college in downtown Chicago. Once news of the depression broke he came home and took a job to help his family. Also he became involved in the rise of unions. Back then many laborers were treated unfairly, Orear sought to make a difference. He was a lifelong activist for fair working conditions because of his experiences during the depression. Dusko Condic also had another inspirational story from his experience during the depression. His father died in his 40’s leaving his family of nine to fend for themselves. However, his neighbors helped the struggling family in their time of need. Even during the economic hardships, the sense of community ran strong. These are just a few of the countless examples of kindness shown during the times of hardship. The process to remedy the economic despair was gradual. The man who helped lead the change was Franklin Delano Roosevelt. The first 100 days of his presidency lead to the most legislation ever created during that time. FDR’s 100 days are often used to judge other presidents’ inductions. Roosevelt also proposed a series of laws and bills to help remedy the economy. This legislation came to be known as the New Deal. In the mid- 1930’s, the economy began to turn around. We finally pulled out of the depression when World War II began. Finally, industrialization began to upturn and an economic boom had sprouted. We have seen many great American tragedies since our country formed. It has been with resilience and courage that Americans have faced each of these events and banded together to bring hope to the country. Part two of our synopsis of American tragedies will be available next week!